Laxius Power is a fan project but one that took itself very seriously. 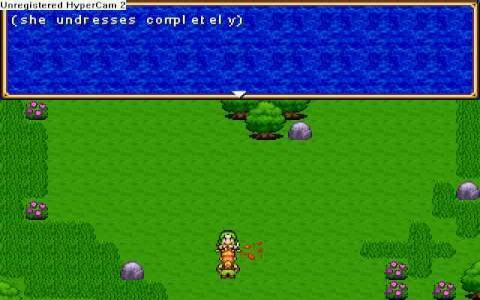 It is a very long RPG, with graphics that will remind you of early Final Fantasy games and with the same combat system that is turn based and a story that is very windy and very diverse. Unlike the titles of yore, this one allows you to select the difficulty level, so that you may either breeze through the combat or actually go for it, need strategizing and a really well developed party. Either way, the game is so big and so diverse that not only will you not see the whole of it from a first visit, but you can also visit so many more places from the very start without being tied down to a linear progression. Graphically there is that anime style that some might live and some might not find as pleasing, but thankfully this is not full blown Japan style, but just a hint of it, for some extra flavor. Now, while the story can be a bit windy and twisty, it isn't really helped by the fact that the dialogues and some other writings can be a little poorly done, but then again, this was a labor of love of fans that could only test and debug so much, so if you're in for the ride don't be too judgmental. Otherwise, the game can stay side by side with some of the classic s of the genre, Zelda Classic or other such titles and look just as good as these. So if you love top down sharp 8bit RPGs with turn based battles, Laxius Power will keep you busy for weeks!